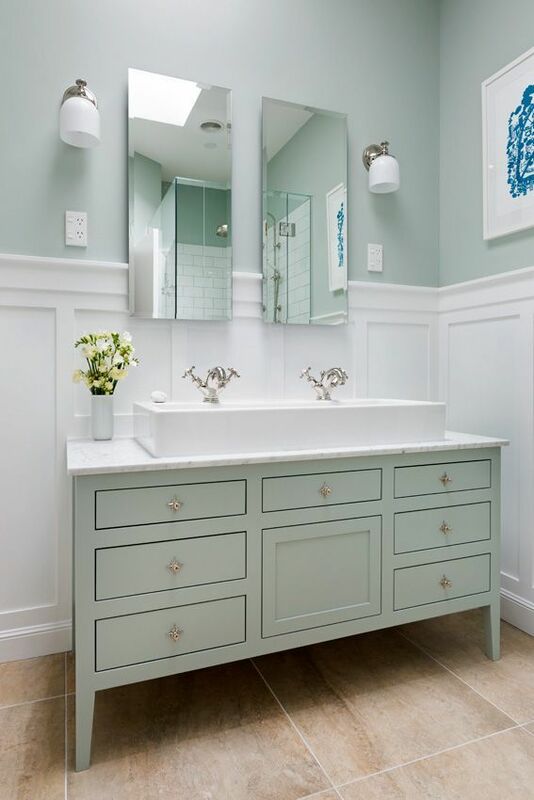 The bathroom in this expansive North Shore home had once been the height of style. But that was a few decades ago so it was well past time for an update! The large main bathroom was not utilising space well, with the majority of the room given over to the bath and large tub deck. The shower was almost too small to turn around in and the tiny vanity did not provide the required storage space. My clients wanted to keep the bathtub but needed the other areas to be larger and more useful. To gain space for the large and luxurious shower the water cylinder, which backed up to the original shower, was relocated to the laundry room. 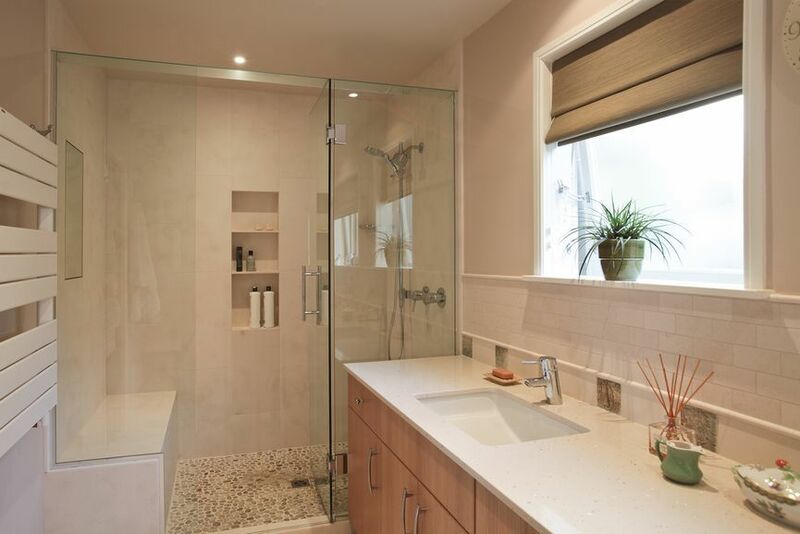 The tub deck is now of a minimal size and a large recessed alcove provides space for amenities. This left space for an expansive, and attractive, linen cabinet to replace storage lost from the cylinder closet. 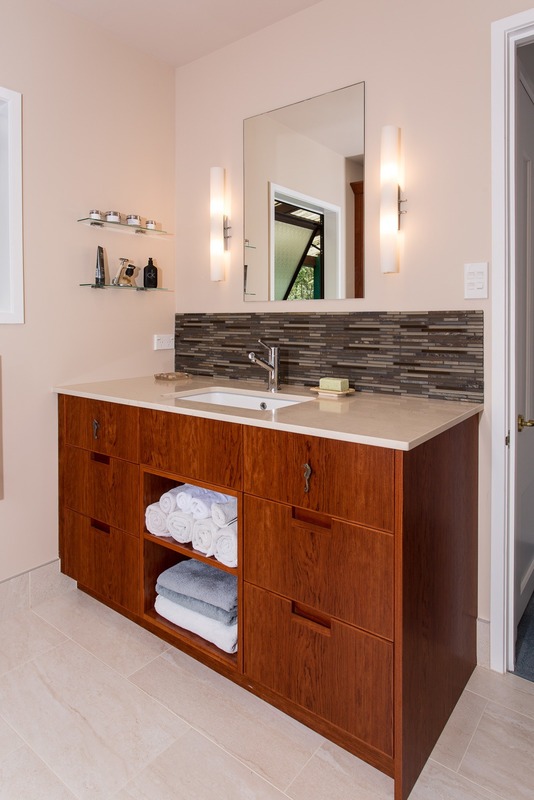 The vanity provides additional storage with lots of useful drawers, generous benchtop area and even some glass shelves. The laundry was also updated, so that it looks better and provides more functional storage. 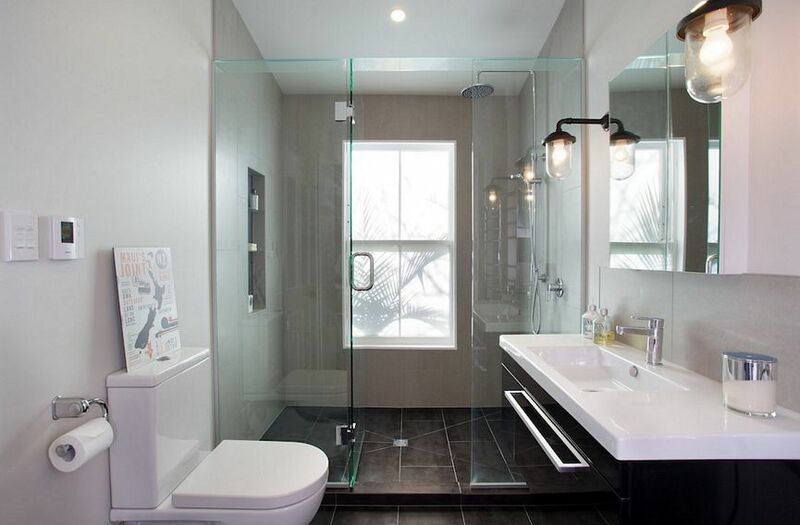 This new bathroom and laundry are now as practical as they are beautiful.